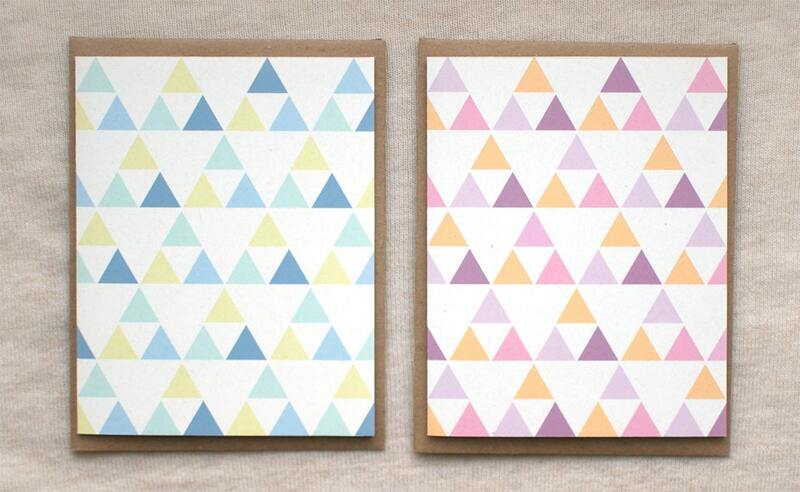 In shades of blue, light teal, yellow green, purple, orange and pink these triangle fractal patterned cards -- in a set of 4 on recycled paper -- can deliver a heartfelt message or be beautifully displayed in a picture frame as modern decor. Set comes with 2 of each color for a total of 4 cards in a set. These are my original designs, hand-drawn, digitally finished, and reproduced with high-quality archival inks on acid-free #80lb. 100% white recycled (30% post-consumer) cardstock paper -- the cards have speckles and flecks for a warm, handmade feel.I have made each card with love and careful attention to detail: cutting, folding, and assembly by hand. Folksy :: Buy "Cashmere fingerless gloves (black/heart)"